(E) Zoran Orlic, new book: "The Frames : Behind the Glass"
at Gallery Number One : www.gallerynumberone.com. Look out for a possible book launch in Chicago this fall - i will keep you posted. Cheers - just wanted to share! In addition to releasing a new album next month, The Frames are to be the subject of an officially sanctioned photo-book. Behind The Glass features the work of Croatian-born snapper Zoran Orlic. Currently operating out of Chicago, Orlic was the tour manager for The Framers' first headlining tour of the States in 2002, and a fly on the wall when Glen and co recorded For The Birds with Steve Albini in his Electrical Audio studio. Weighing in at 208 pages, it's due in October and will retail for 19.99/£14.99. 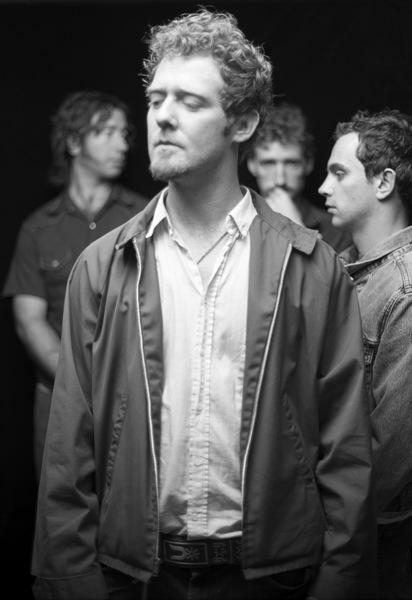 Since Glen Hansard started The Frames in the early 1990s, the band has enjoyed multi-platinum success in Ireland. Now they are making a global breakthrough and Zoran Orlic had unfettered access to capture a piece of the band's history. The rise of The Frames is illustrated with exclusive vintage photographs through the lens of Orlic, fan and photographer. Also included are rare shots of enigmatic producer, Steve Albini who worked with Nirvana and The Pixies.